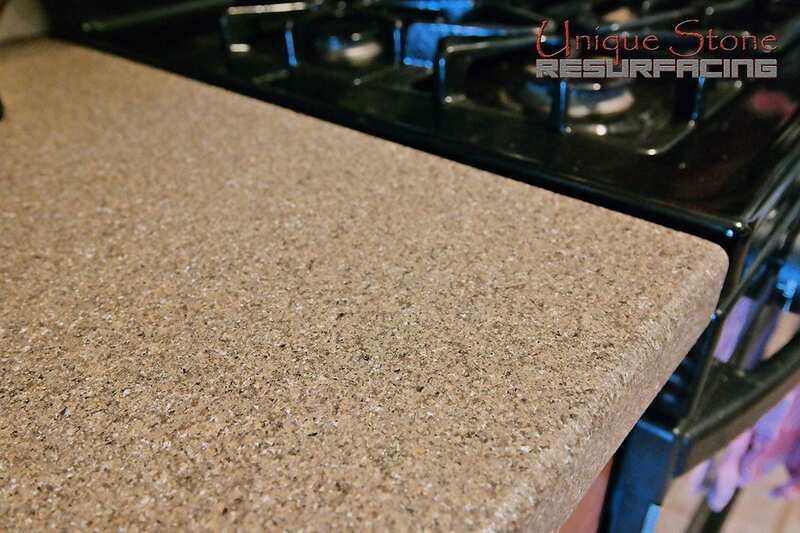 Kitchen Countertops • Unique Stone Resurfacing in Albuquerque, NM. 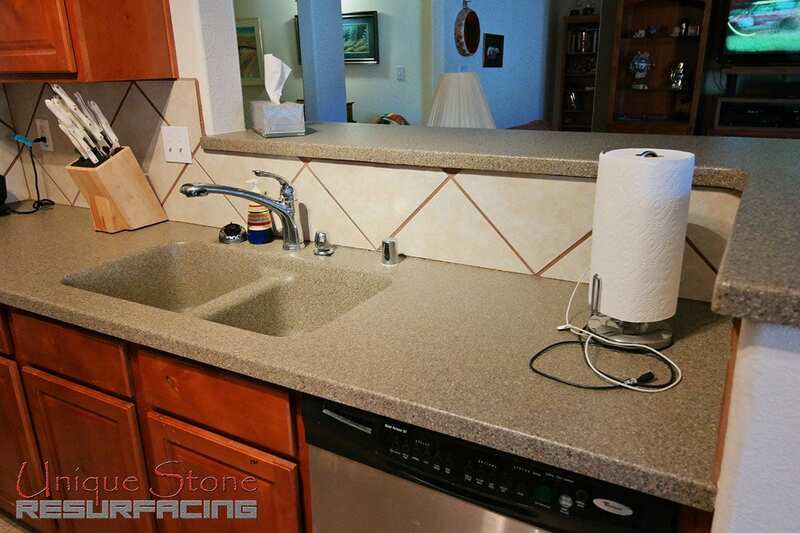 These kitchen countertops got a new lease on life with Unique Natural Stone, in Smokey Granite. 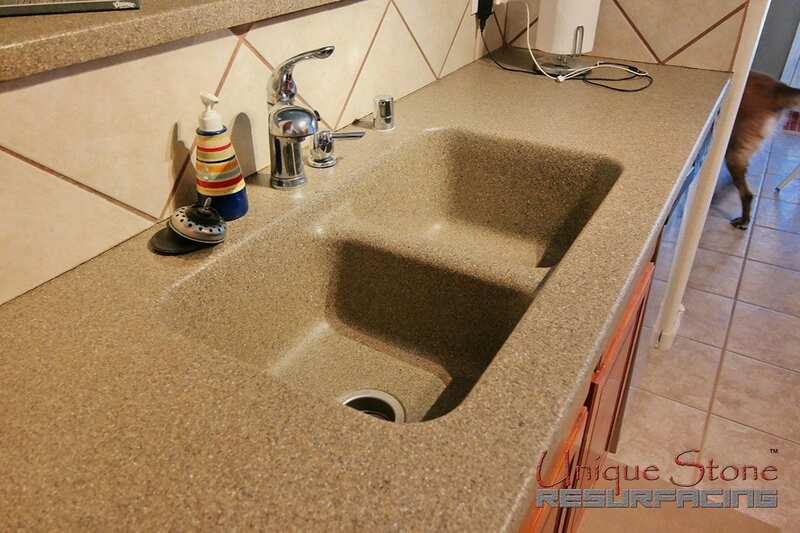 Our advanced technique and superior product have given this homeowner a whole new experience with these counters. 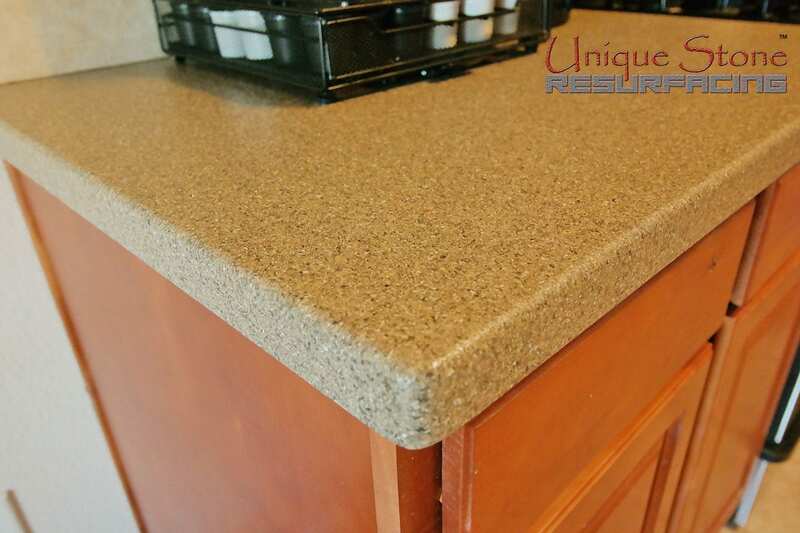 The beauty and durability of Unique Stone Resurfacing products are unmatched and incomparable to similar products on the market. No two jobs are identical. 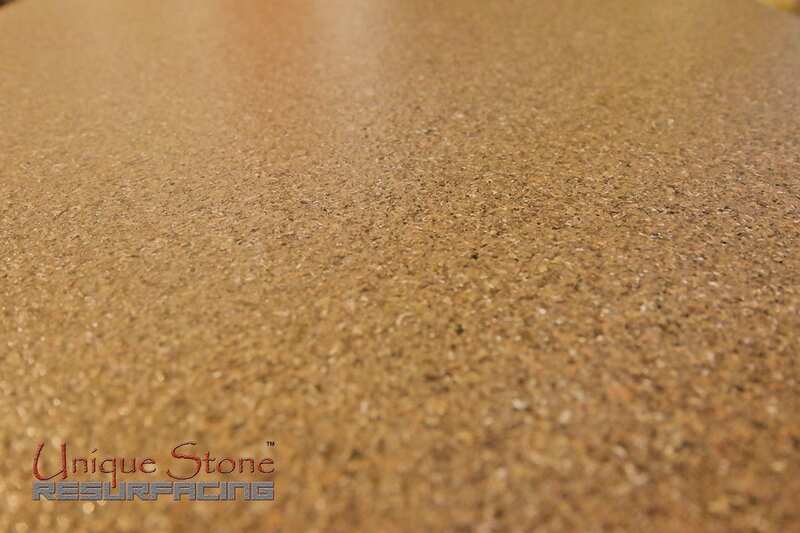 However, you will find nothing but uniformity with our Unique Stone Resurfacing. No “paint splatters” because it is not a paint. No “bald spots” because the same consistency is layered upon layer to present a solid, uniform look, that is nothing short of a work of art. Our techs are truly artisians. 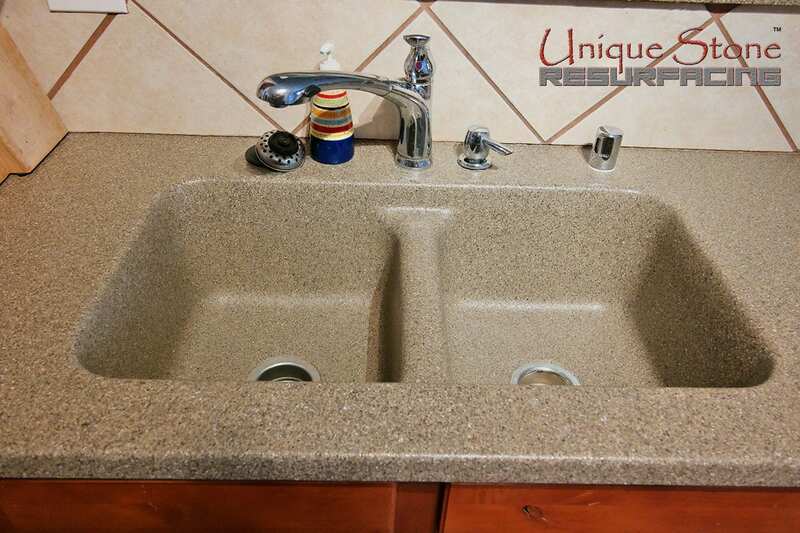 Our Unique Stone Resurfacing™ is a special process that can be used on clawfoot tubs as well as other antique fixtures such as farmhouse sinks. 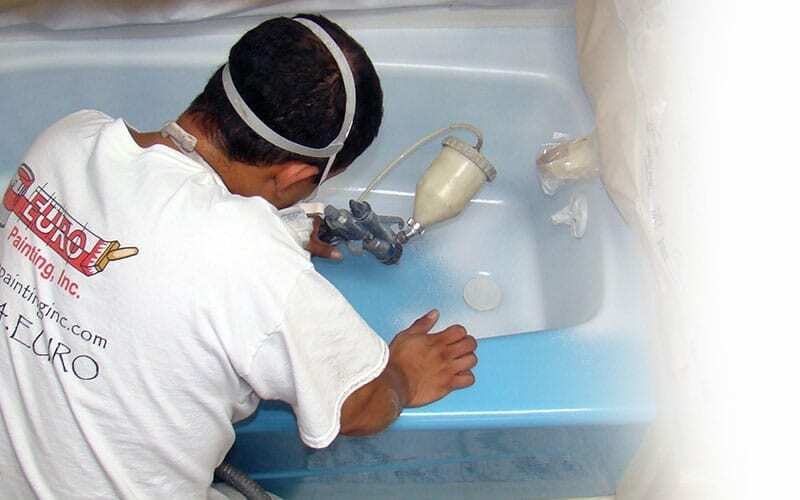 Our craftsmen and porcelain refinishing process are the best in the entire industry and provides a beautiful and durable restoration.